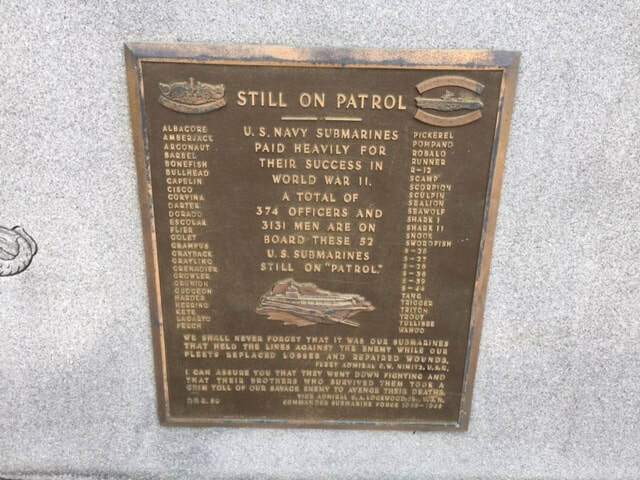 When I first saw this memorial, I took the pictures and read the plaque commemorating those submariners lost in World War II. I thought there'd be a wealth of information online about it. Naval Academy maps show it, but no details on when it was commissioned, when it was placed there, who did the commemoration, etc. I did find it's a Mark XIV Torpedo, which is a 600 pound explosive, which was the main type of armament for those subs during the war. But sadly, I can't find anything else. Do you know any of the particulars of this monument? If you do, please email me and I'll put it up here!